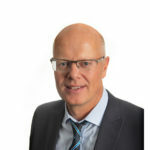 Story Contracting is building for the future following a year of record growth and an exceptional start to 2019, which has seen the business secure a five-year work bank worth up to £200m. The Carlisle-headquartered infrastructure company grew by 36% in 2018. Contract wins across the five divisions led to 195 new starters joining the Story team last year and the business also recently welcomed its 700th employee. The family-owned company is now targeting another 200-300 employees over the next five years to fulfil a series of impressive contract wins. 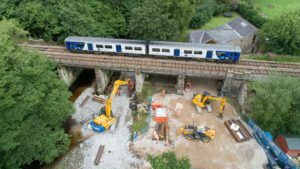 Story’s growing stature in rail infrastructure and its collaborative approach to problem-solving has seen it land major contracts worth up to £200m in recent months. Story Scotland is a key partner for Network Rail and the Glasgow-based division recently secured a five-year framework to deliver up to £135m of renewal and enhancement projects north of the border. It was also announced last week that Story Contracting’s Rail division has secured another five-year Network Rail framework contract in England worth up to £50m for geotechnical work on the LNE (London North Eastern) route stretching from London to Scotland. This followed a framework contract win worth up to £38m for structures and property works on the South of the LNW (London North Western) route which is home to the West Coast Mainline – the busiest mixed-use railway in Europe which supports the major British cities outside of London. The Story Rail division is expanding its team, particularly in the Midlands, where it has opened a Birmingham office. The company also recently secured three framework agreements with Transport for Greater Manchester. These cover the renewals of structures, property and track on the Metrolink network and could be worth up to £50m. Following this year of record growth, Story is pleased to announce three senior promotions across the business. From 01 February, Ian Purdham and John MacArthur will become, respectively, Managing Directors of Story Contracting’s Rail England and Story Scotland divisions. This acknowledges the success they have made growing their divisions and gives both teams a greater presence in the market place; being recognised as businesses in their own right whilst remaining part of the Story family. In addition, Frank McFadden will take on the role of Rail Technical Assurance Director, ensuring that Story Contracting is a leading business in all technical aspects of Rail work. Frank’s appointment will be strengthened with the development of robust Technical Assurance Management in the two Rail divisions. 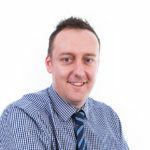 Jason Butterworth, Story Contracting CEO, said: “I am delighted with the progress that our company is making – we are enjoying a successful 2018/19 and we are in a strong position, partly as a result of recent long-term major framework wins in both England and Scotland. division’s operations in England as director. He began climbing the ladder after spotting an internal trainee quantity surveyor role advertised, and was sponsored through completion of his degree while working for the company. There has also been significant success for the company’s Plant division which has taken its network of clients from five to 32 over a three year period, and is pushing towards £30m turnover. 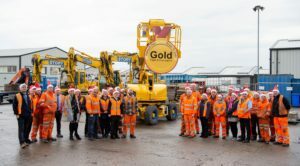 Its highly-skilled team and investment in an extensive fleet of machinery has seen the company become one of only two awarded a prestigious Gold on Network Rail’s Route to Gold for its reliability, safety record and continuous improvement. To support the growth of the entire Story Contracting business, the Plant division will be investing in resource, equipment and staff to help fulfil the new contract wins, whilst also maintaining the existing work that has been secured over the past five years. Story’s Construction division has also started the year with a flourish and is in the strong position of having secured work for 60% of its 2019 business plan. The order book includes £8.5m of local authority work ranging from minor highways repairs to bridge replacements; £5m of industrial development and £9.7m of housing infrastructure contracts across South West Scotland, Cumbria and Lancashire. Reiver Homes, Story Contracting’s house-building division, started 2019 with a flurry of sold signs after six reservations were snapped up in five days equating to £1.7m of revenue. Four reservations were taken at March Mount in Dumfries and two at Chapelfield in Temple Sowerby. 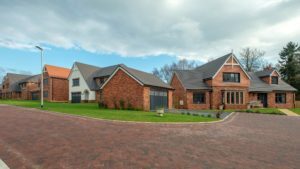 The house-builder, which was founded in 2016, currently has four schemes across Cumbria and South West Scotland and aspirations to grow its number of small developments. This catalogue of successes is great news for those looking for career opportunities – both in Cumbria and further afield. Story Contracting believes in investing in future talent and last summer the company welcomed its biggest ever intake of 28 graduates, apprentices and trainees. Story Scotland also welcomed its first ever cohort of six apprentices just last week.